Tichmall, native of France one of our regular commenters, is also the owner of an impressive collection of S-Pulse shirts. Covering every season since our inception in 1992, the only shirt missing is 2007's. Take a look at a whole lot of orange! Great to see such fandom around the world for our team, and brilliant to know there are people pulling for us from so many corners of the globe. As we've seen, these shirts don't come cheap, so true devotion from one of our global supporters and overseas ambassadors for S-Pulse. 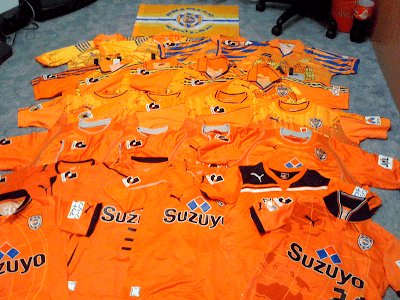 If I ever bump into someone in a Shimizu shirt in some far flung corner of world, the beers will be on me. S-Pulse yesterday claimed the occasionally-played SDT Cup with a 1-0 win over Iwata. The line up is a look at what we can expect in the coming season. New signings Min-Soo and Bare started, with the Brazilian spearheading the attack. However, it was Muramatsu who grabbed the decisive goal early on. You can expect Jubilo to be a solid defensive unit this season, so this wasn't a bad result, all told. We seemed to create a decent number of chances and with a bit more sharpness could have had a couple more. The full 2013 results are as follows. All home were held at Nihondaira unless otherwise stated. Some picks for me include the derby, the away of which is being hosted at the tiny Yamaha Stadium! Initially it may seem a surprise for Jubilo to give up on Ecopa, but when you look at their dwindling crowds there of late, and the fact the last few derbys there have seen roughly the same number of away fans as home, you can't blame them for attempting to regain some kind of home field advantage. 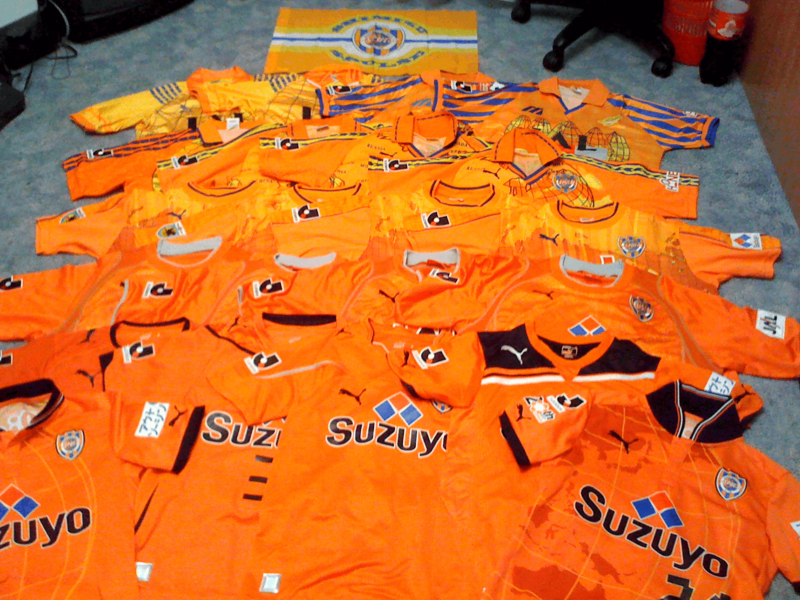 Aside from that, Nagoya away at the immense Toyota may have to be done again. Yokohama FM this year will be at the much smaller Nippatsu Stadium, a far better viewing experience than the Nissan, and Oita Trinita away during summer holidays looks tempting. Less than a month before the big kick off, roll on 2013! The league cup played out as follows. S-Pulse eliminated at the group stage. The Emperor's Cup went down thusly.